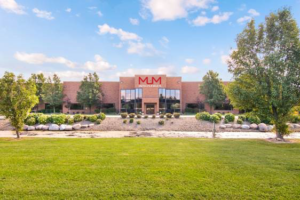 MUM Industries is excited to announce that we are expanding and relocating to a new location to accommodate our growth this fall! Since we first opened our doors in 1996, your loyal business and support is one of the main reasons why we’ve grown so much over the years. Our new offices will allow us to comfortably continue to grow and provide our customers the highest level of service. Our new facility will provide us with 92,192 sq. ft of office and warehouse space, with the ability to expand. Our larger space will allow us to maximize production productivity, storage for inventory, and host meetings of any size in a comfortable space. All telephone numbers, fax numbers, and email addresses remain unchanged. As a valued customer, we thank you for your continued support and look forward to visiting with you at our new location!